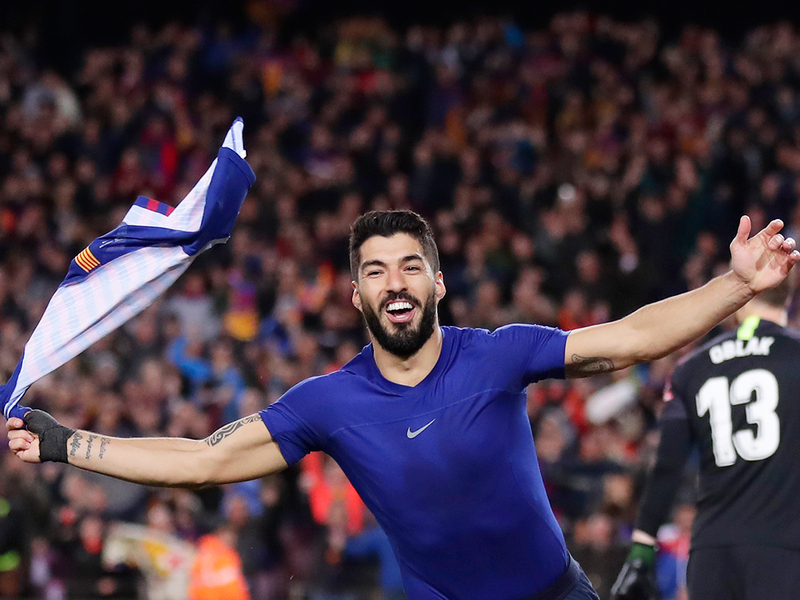 Barcelona: His goal against Atletico Madrid on Saturday should prove Barcelona’s knockout blow in La Liga and now Manchester United are tasked with containing the might of Luis Suarez in Europe. Suarez’s reputation as one of the game’s arch-villains is entrenched, perhaps nowhere deeper than in England, where he was found guilty of racial abuse for insulting United’s Patrice Evra in 2011 and, a season later, sank his teeth into the arm of Chelsea’s Branislav Ivanovic. For Barcelona, who paid Liverpool just over 80 million euros (Dh331 million) to sign Suarez in 2014, his contribution has been clouded less by indiscipline and more by Messi, the player around whom the whole team revolves. Suarez is Messi’s provider, runner and foil, but has managed to perform the role without losing sight of what he can bring too.